R&R Estate Jewelers is the home of Oklahoma City's widest selection of antique, vintage, and contemporary style jewelry at wholesale prices. 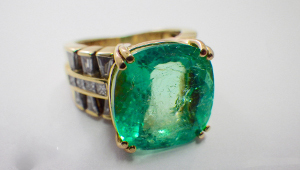 We buy and sell a wide variety of quality jewelry and vintage items. "The best merchandise and service. Friendly and comfortable atmosphere. I love estate jewelry, and RR has the best and most unique selection. Highly recommend! " "I have known and done business with R&R for many years and I consider it an honor to know and do business with Larry and Steve. Their knowledge and honesty is impeccable." "It is always a thrill to go to your store and to do business with you!! Thank you for your great service and wonderful bling!! " " When I relocated to OKC 9 years ago, I was lamenting the fact that I had to leave my previous trusted, friendly jewelers of 30 years and didn't how I was going to replace them! Alas, I came across R&R Jewelers and knew I had found new friends and jewelers I could trust! I am right at home with Larry and Steve--in fact, one of my former jewelers was also a Steve--that was just the sign I needed! They are both knowledgeable, conscientious and highly professional jewelers who do their darnedest to meet their customers' needs! You can't go wrong!" 2 thumbs way up!! " 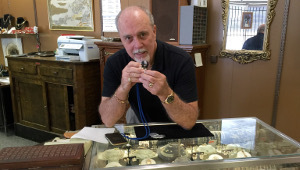 "I recently selected R&R Jewelers to buy some treasured estate jewelry. They were very fair, knowledgeable and a true delight to work with. 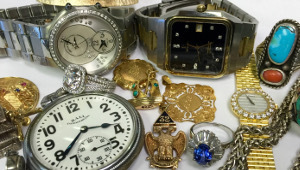 I not only recommend them to be considered if selling, but they have an very wide and impressive collection of antique, vintage and current style of jewelry, watches, clocks and other curios. If you are looking for something unique with class, they have it. "